Solar energy installations in the calendar year 2018 dropped 15.5 per cent to 8,263 megawatt (MW) due to a safeguard duty regime, GST and land and transmission issues, says Mercom India's new research. In 2018, investments in the Indian solar sector totalled over $9.84 billion, 15 per cent lower compared to the previous year. Rooftop solar, however, had an impressive year growing by 66 per cent on year-over-year. Total power capacity additions in India were 16.3 GW in 2018 from all generation sources. 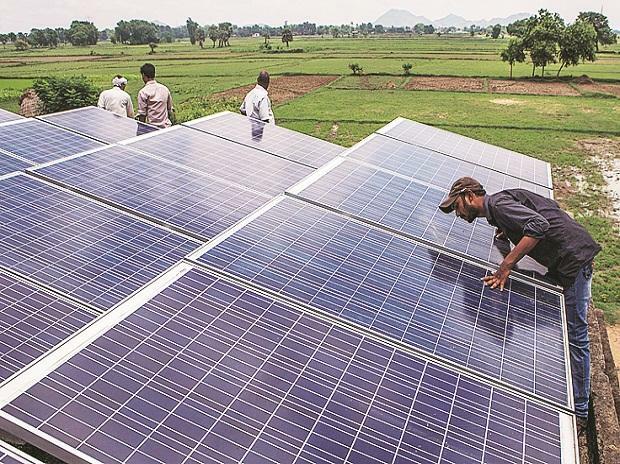 Of this, renewable energy sources accounted for nearly 70 per cent of installations, with solar representing 50.7 per cent of new capacity and wind with 14 per cent. Coal accounted for 27.5 per cent of new capacity added. “To succeed in the Indian solar market, companies need to play the long game. For the first time in India’s history, solar made up over 50 per cent of new power capacity in 2018. We will continue to see a steady shift toward solar as prices continue to drop. This is going to be the new normal as coal plants continue to shutter,” said Raj Prabhu, CEO and co-founder of Mercom Capital Group. In the fourth quarter of 2018, solar installations stood at 1,638 MW, up by three per cent quarter-on-quarter but around 52 per cent lower YoY compared to the 2,491 MW installed in the fourth quarter of 2017. Rooftop installations in 2018 totalled 1,655 MW, a 66 per cent growth year-over-year. Cumulative rooftop solar installations have reached 3,260 MW. In terms of annual growth, rooftop solar continues to be a bright spot, as commercial and industrial entities see it as a viable option to combat higher power tariffs. Financing rooftop installations could be challenging in 2019 as Indian banks are facing a liquidity crunch with many banks hitting the exposure limits to the power sector. The report found that solar parks continue to face issues in providing clearly demarcated-ready land for project development, causing undue delays and putting additional pressure on large-scale projects. The market is adjusting to the safeguard duty regime, but much will depend on Chinese solar policy and installation goals in the future. Any increase in installation targets in China will tighten supplies and harden module prices. An oversupply and module price declines could result if China decides to pull back on its solar installation targets. “Tariff caps and retroactive cancellation of solar auctions have been the biggest concerns in the investment community,” added Prabhu. As the general election nears, the rules of the election commission could affect land acquisition and government approvals for solar projects. However, elections generally mean fewer power cuts and increased power demand, he added.